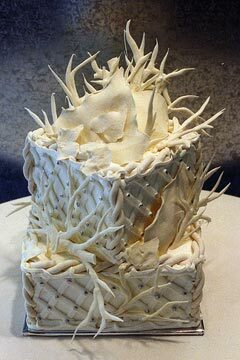 When you look through the amazing array of contemporary wedding cakes it absolutely boggles the mind at the sheer artistry involved. The displays are all about amazing design and construction, texture and detail, and above all daring and imagination. 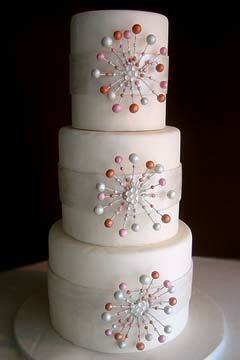 The question immediately arises: what makes a contemporary wedding cake? 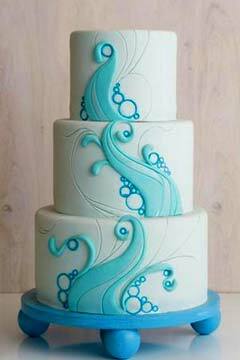 Modern contemporary cakes are really designer cakes. 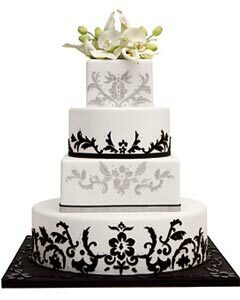 You won't buy these at your local cake and pie shop. 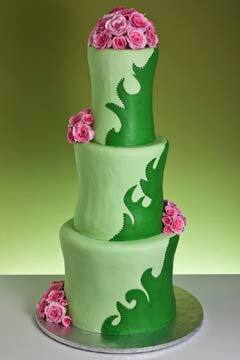 The makers of these cakes are artists who use cake as their medium. 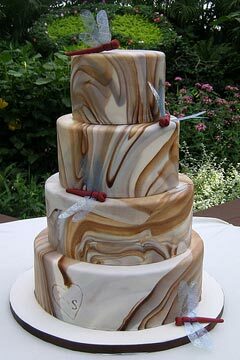 These modern wedding cakes are meant to demand attention and inspire awe and wonder in your guests. The guests will know that this is a very special event and they must be special to have been invited as well. 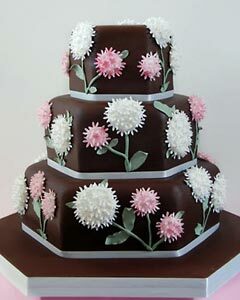 It doesn't all begin and end with the cake either. 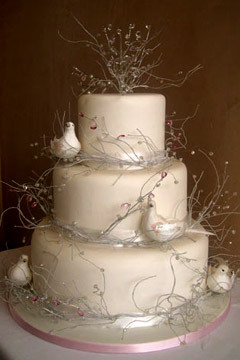 Latest cake designs often make full use of amazing contemporary cake toppers. They can be figurines or fascinators. 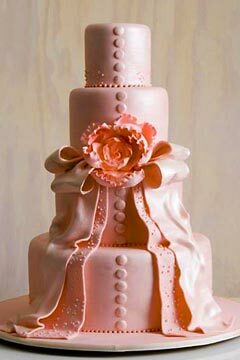 There can be flowers, fondant creations or there can be ribbons. 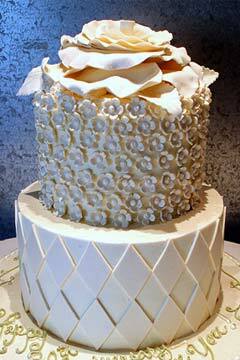 Really, contemporary cake tops are modern and current, but above all they are extraordinary.